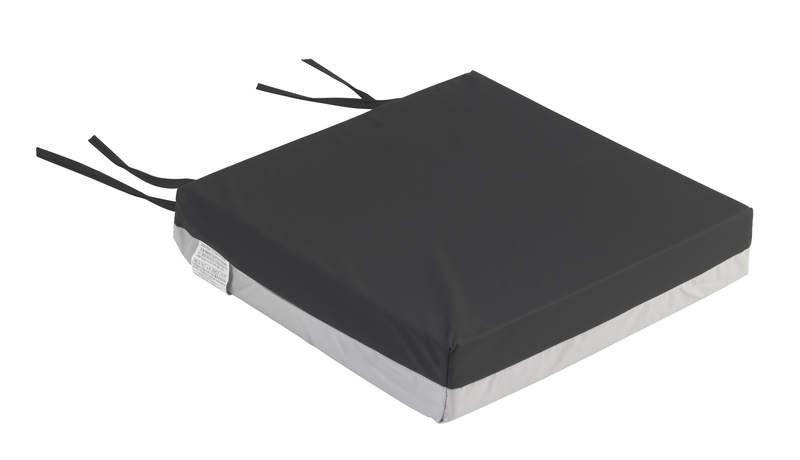 The Premier One Foam wheelchair seat cushion from Drive and Mason Medical provides patient comfort and stability with a simple economical design. Its aerated foam construction keeps the patient cool and dry while the low shear cover helps to protect sensitive skin. Conforming Comfort WC Cushion Economy, Standard, 16" x 18" x 4"